In our 60 DAY CHALLENGE you will shed fat, strengthen, tone and sculpt your body, increase your fitness levels, and most importantly, turn your lifestyle around to carry these results with you. It incorporates individualized nutrition planning, expert personal training, and engaging group bootcamp classes to transform your body into a new you. This is what you need to know. 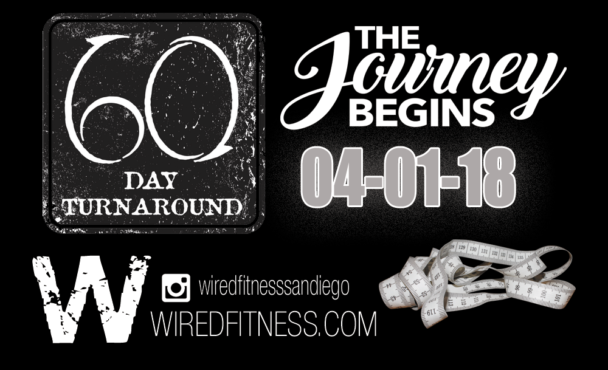 We will conduct measurements at the beginning and on the last day of the 60 DAY CHALLENGE. We will also do a mini fitness test to determine improvements in that category. The entry fee is $150 for non-members (includes a free Saturday bootcamp class) and $50 for current members. $50 from each participant will go into the the prize pot! You can add additional bootcamp classes, private training or exercise programs designed for you to do independently at a discount rate. Please advise and we will accommodate. You can still participate in the challenge without being entered into the contest (for those out of town). This challenge sold separately is valued over $700.